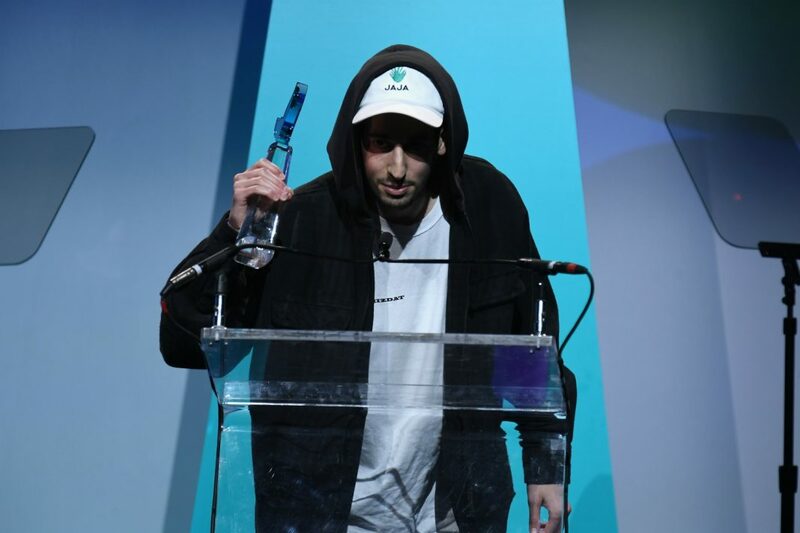 Elliot Tebele of FuckJerry won a Shorty award in 2018 for best meme/parody account. In April 2016, L.A. video artsit Vic Berger was checking his Instagram when a friend sent him something fishy. The popular meme page @KrispyShorts, one of several accounts managed by the social media agency Jerry Media, had uploaded one of Berger’s popular political Vines to their own feed, repurposing the video as an ad. Irritated that he hadn’t been contacted, compensated, or even tagged, Berger slipped into the account’s DMs to ask for credit. The response he received from Jerry Media’s chief content officer James Ryan Ohliger, who runs the account, was curt. “He told me to shut up, then blocked me,” says Berger. Berger is far from the only creator who has accused Jerry Media of trying to turn a profit on unoriginal content over the years. The company, which founder Elliot Tebele built from his ultra-popular page @FuckJerry, specializes in “aggregating” memes from other creators and selling ads against them, often charging thousands of dollars for a single sponsored post. Over the years they’ve repeatedly been called out for appropriating jokes or failing to give their sources credit. Now, in the wake of the company’s involvement in the infamous Fyre Fest debacle, a growing number of writers and meme-makers are calling for a boycott. After journalist Meg Wright published a critical Vulture article about Comedy Central’s choice to advertise on @FuckJerry last week, comedian Judah Friedlander coined the hashtag #FuckFuckJerry on Twitter. Since then, big names like Tim Heidecker, Patton Oswalt, and John Mulaney have urged their fans to unfollow @FuckJerry and its associated accounts, in an attempt to decrease the company’s value. The creator behind @TeenageStepdad, who lives in Arizona but does graphic design for several L.A. clients, says it typically takes him between two and six hours to design a meme for his personal account. He doesn’t mind when the images are shared for fun, but when he saw one used without permission in the trailer of the Jerry Media-produced Fyre Fest documentary, it hit him the wrong way. “I figure if I want credit for something I’ll put my mark on it,” he says. “But when it starts to become part of a commercial enterprise, it crosses a line for me.” He too has urged his followers to stop following @FuckJerry, encouraging them to follow the SoCal hard rock band Buck Cherry instead.